Terence Crawford is not the man that Mikey Garcia wants to face should he want to complete his mission. 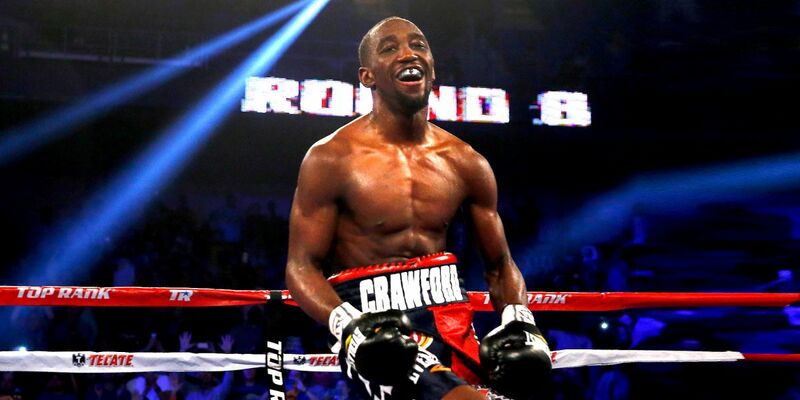 The trainer of WBO welterweight champion Jeff “The Hornet” Horn 18-0-1 (12) has come out swinging at news that mandatory challenger Terence ”Bud” Crawford 32-0 (23) is planning to use horsehair gloves in their world title fight in Las Vegas next month. But Glenn Rushton believes the decision to use the so-called “puncher’s gloves” will work against the American challenger. Horsehair gloves are more compact and can be manipulated so that the knuckle area is more prominent. This results in more damage being caused by each clean punch landed and can increase the likelihood of cuts. The downside of this is that they can result in more damage to a boxer’s hand than the more common foam-padded gloves during the course of a fight. Despite their dangerous reputation, horsehair gloves remain legal. It will be Horn’s first time fighting in horsehair gloves and the 30-year-old former schoolteacher will have four weeks to adjust to them ahead of his June 9 clash with the former two-division champion at the MGM Grand Garden Arena. Rushton insists that the fight postponement from April 14 has only strengthened his fighter’s resolve, giving them more time to prepare for the most dangerous opponent of Horn’s five year pro career.